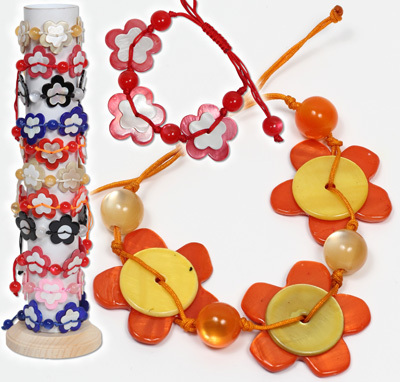 Doubled capiz shell flower adjustable bracelets. Doubled capiz shell flower adjustable bracelets. Assorted colors.